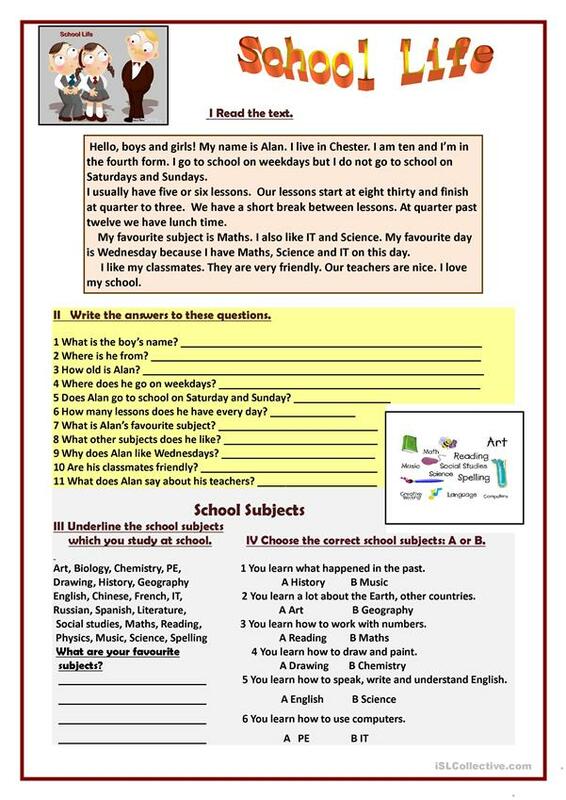 This is a simple worksheet and it may be used as an extra activity when teaching the topic 'School'. Students read the text and answer the questions to it. Then they underline the school subjects they study at school and choose the right answer in exercise 4. The above printable, downloadable handout is recommended for high school students and elementary school students at Beginner (pre-A1), Elementary (A1) and Pre-intermediate (A2) level. It is a useful material for practising Present simple tense in English, and was designed for honing your students' Spelling, Speaking, Reading and Writing skills. It is about the theme of School.